A Wellness Vacation to Mexico means discovering a diverse country full of culture, endless beaches, an abundance of outdoor activities and delicious food. Whether along the Pacific, the Caribbean coast or in the capital city, travellers take pleasure in long, lazy days on the beach with a cold cerveza, spectacular ocean views, deliciously fresh products, many activities including water sports, and visiting Mexico’s archaeological and historical sites. There are so many rejuvenating activities available in a wellness retreat to Mexico by just exploring the destination you are visiting and many of the resorts offer yoga, spa and other health & wellness options onsite. Many travellers opt for the Pacific coast— Puerto Vallarta , Acapulco , Huatulco , Los Cabos or Manzanillo—for almost guaranteed sunshine, long beach vistas and dark blue waves. For water sports lovers, especially surfers, the impressive waves off the Pacific beaches are a little piece of paradise. Others choose vacations on Mexico’s Caribbean coast to enjoy the white-sand beaches and turquoise waters of Cancún and Riviera Maya . 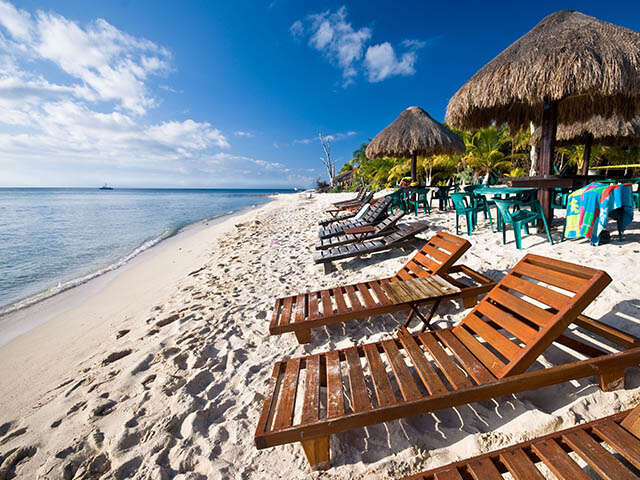 Cozumel is particularly popular with snorkelers and divers looking to explore beautiful coral reefs. Those who are archaeologically inclined tour Maya and Toltec ruins, such as Chichén Itzá and Tulum. Mexico City, the country’s capital and home to almost 20 million people, is a charming city full of historical and cultural attractions. Its busy nightlife, spicy cuisine, vivid neighbourhoods and friendly locals seduce many travellers year after year. The most popular archaeological day trip is an hour outside Mexico City. Teotihuacán, the largest city in the pre-Columbian Americas, which is dominated by the Pyramids of the Sun and the Moon and the central Avenue of the Dead, is well worth experiencing. Mexican cuisine is a reason in and of itself to travel to Mexico. Fajitas, tacos and guacamole made from freshly picked avocados, sweet salsa that tastes like pure sunshine, black beans and fresh grilled fish abound. Typical Mexican cuisine is renowned for its tasty sauces and spices that make every dish a sensation. for travel from January 4 to April 30, 2019. 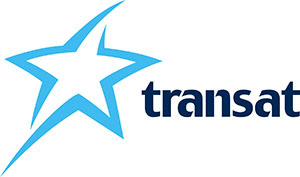 †The Vacation Resolution Sale is valid on new individual Transat Holidays bookings made with UNIGLOBE Travel from January 1 to 22, 2019, for travel January 4 to April 30, 2019, and applies to specific destinations and travel dates. The saving up to 40% is applicable at The Fives Azul Beach Resort Playa Del Carmen by Karisma in Riviera Maya, for departures from Toronto March 22, Ottawa February 9, Montreal February 17 and 24, Quebec City February 13 & 20, Vancouver February 20 & 27, Calgary March 3 and 10, Edmonton March 6 and 13, and Winnipeg March 12, 2019 . The saving is based on the regular price and is calculated before taxes and fees and reflected in advertised prices. Prices are per person, based on double occupancy (adult) in the lead room category, unless otherwise stated. Space is limited, 20 seats per departure, and subject to availability at time of booking. Not applicable to groups, flights, à la carte accommodations, duo packages or tours. Additional restrictions may apply, contact your UNIGLOBE Travel consultant for full details.